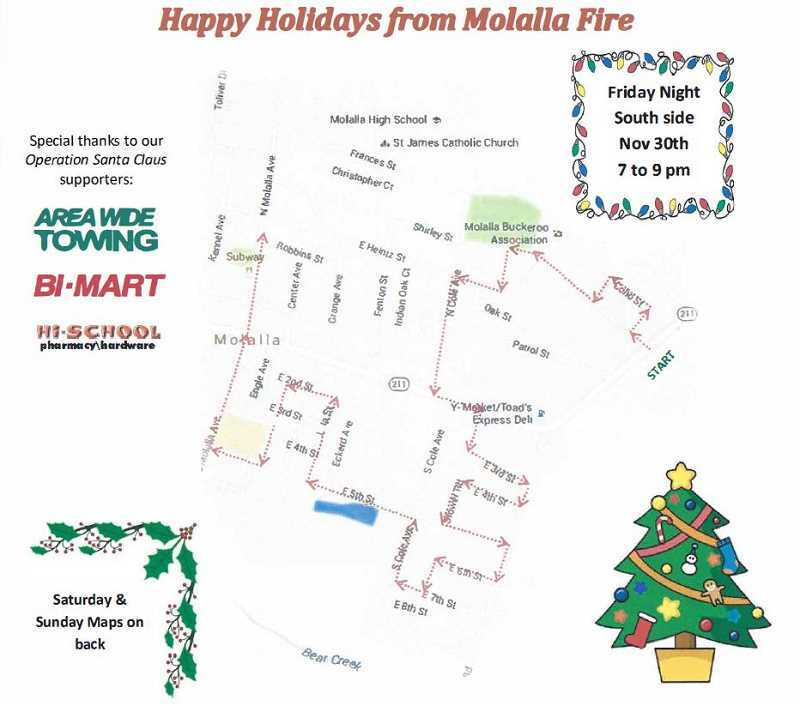 The annual Molalla food drive has kicked off and will continue with Operation Santa Parades on Friday, Nov. 30 from 7-9 p.m., Saturday, Dec. 1 from 4-6 p.m. and Sunday, Dec. 2 from 4-7 p.m. 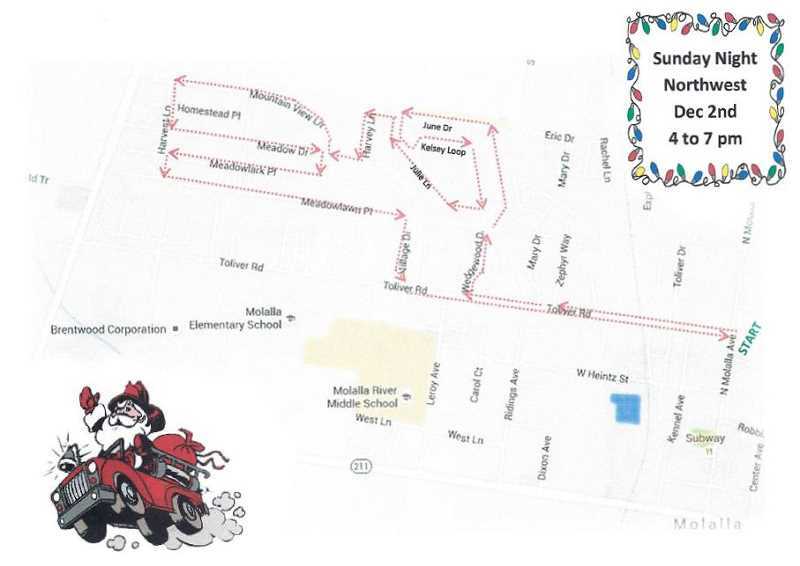 Check out the parade routes to have donations ready when the firefighters come around. Assisted by the Molalla High School Key Club, local Cub Scout troops and the Molalla Kiwanis Club, the Molalla Firefighters and Police Department collected 14,000 pounds of food a year ago. All of the food and the donated money, used to purchase more food, stays in Molalla. 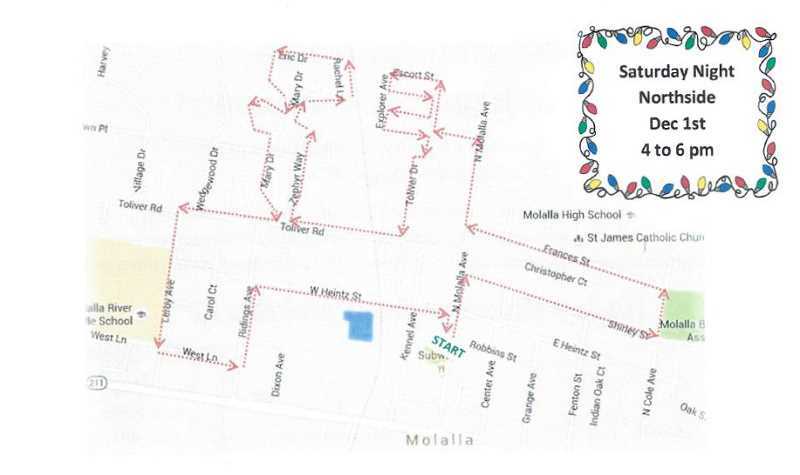 The bulk of it goes to the Molalla Service Center with the rest divided up between the St. James and Foothills churches. Those who miss the parades can deliver food to the Marson Building, where the firefighters are staying during their station's remodel. All donations are tax free.